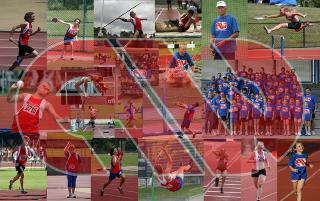 Athletics Wollongong has a long and proud tradition in the Illawarra. Since its inception in 1958 (as Wollongong Southern Flame Amateur Athletics Club), we have striven to develop the sport of track and field in Wollongong. We cater for ages from 8 to 80+ and for athletes of all abilities. The emphasis is on the whole family enjoying athletics: there are few avenues where everyone can get together and compete at the same time. We contest all athletic disciplines, provide electronic timing in all track events and also offer coaching to members interested in improving their skills and abilities. We have a strong foundation of recreational members right through to elite competitors. Throughout all Club activities we maintain a fun, relaxed and social vibe. Incredible results from AW athletes at the Australian Championships! Athletics Wollongong's AGM is being held on April 11th at the track, click through for more details.